In recent months, many parts of the United States have been hit by devastating tornadoes. News programs show footage of homes and buildings destroyed by high winds and flying debris. Some of the numerous casualties could be prevented if we built stronger, safer buildings. Many types of construction, including wood frame, cannot stop flying debris from penetrating the building envelope. Plus, these homes are typically not energy-efficient, comfortable or built-to-last. The construction process and cleaning up after natural disasters also takes its toll on the environment. Alternative construction methods have proven to be more comfortable, highly energy-efficient (with low utility bills), and have a lower impact on the environment during construction and over their lifespan. AND they resist severe storms and weather (tornadoes, hurricanes, fire and earthquake) much better than conventional buildings. Plus, the materials used are natural & non-toxic, as well as resistant to insects and mold. What are these alternative materials? Soil! Earthen homes and buildings have been constructed for thousands of years. The materials are readily available and buildings made from them last for centuries! Compressed Earth Block (CEB): made from the local soil and compressed into bricks as strong as concrete or fired bricks. The 10 to 48″ thick walls provide great thermal mass and comfortable temperatures inside during all seasons. This technique is low cost to build (using non-skilled labor and in a matter of days) and to maintain (no mechanical heating /cooling systems are needed in most climates when passive solar design is utilized). Adobe: a mixture of clay, sand and straw or manure. 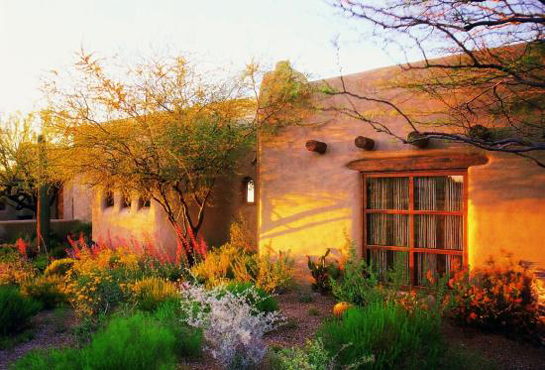 Adobe bricks are made in a frame, typically 10 x 14″, and dried in the sun. Walls are 8-48″ thick and provide great thermal mass, energy efficiency and comfort. Rammed Earth: is a mixture of sand, gravel and clay (sometimes Portland cement is added as a stabilizer) tamped down into a wood form which can be reused indefinitely. Rebar may be used to increase resistance to earthquakes and strong storms. The finished walls are typically 12-14″ thick, which again provides great thermal mass, energy efficiency and comfort. Insulation and vapor barriers may need to be added in wet, colder climates. Many companies build earthen homes, or you can save money by building one yourself! These techniques can be used to construct practically any architectural style too! Every time my family says that I am wasting my time here on the net, but I know I am getting knowledge all the time by reading the pleasant content.